**STAFF CREATED STRATEGY*** Thanks Mr. Duff! Learning Target: Students will analyze the relationships between key vocabulary in a unit. Have all the vocabulary printed, cut out, and attached to your word wall. Along with each word, print a picture that represents the word and attach it next to the word. Create groups of 2-3 students each. Give each group a large-sized sticky note sheet. Instruct students to write all of the vocabulary words on the sheet, making as many connections between the terms as they can by drawing lines between the terms. On the lines the students should describe the connection. Examples of connections can include similarities, opposites, cause and effect, etc. The goal for each group is to make as many connections as possible. 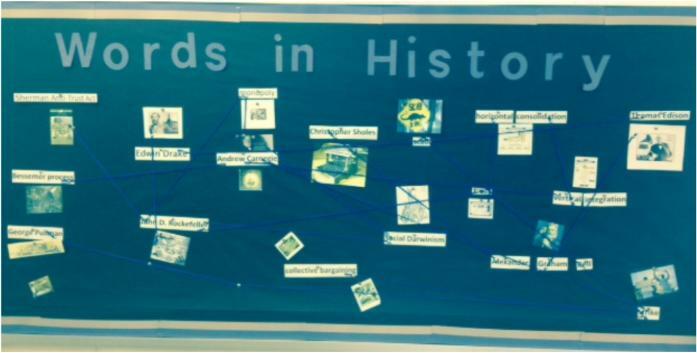 After one class period of student work, the teacher can use yarn to make their own connections on the bulletin board to show as a model. Students should complete the word web during the second class period and post around the room. 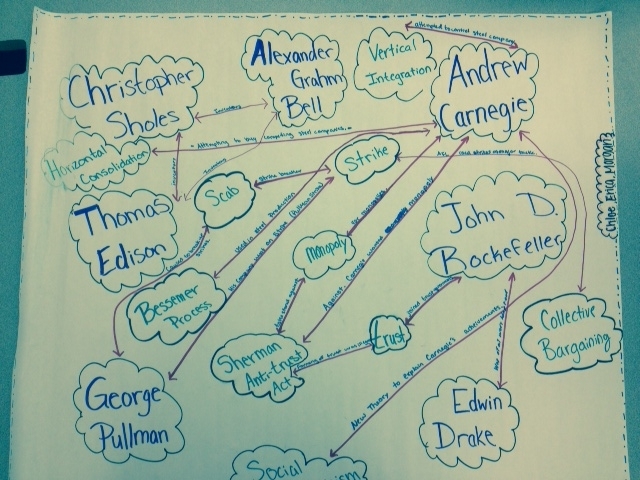 Teacher can lead a discussion where students share one connection they made.